Highlights of the Sky Bet League One match between Crewe and Doncaster. 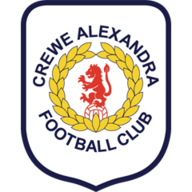 Relegated Crewe earned their first win in 16 games and all-but condemned Doncaster to the drop with a 3-1 victory at Gresty Road. Kick-off was delayed for half an hour to allow ground staff to drain a waterlogged pitch. When play did start, Callum Saunders did well to bring down a high ball but the Crewe youngster dragged his shot wide. Rovers gave their desperate plight a shot in the arm when Tommy Rowe slammed a deflected shot past keeper Ben Garratt from 15 yards in the 28th minute. 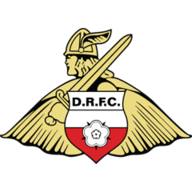 Doncaster could have added to their lead with Andy Williams firing over and James Coppinger dollying a header at Garratt. But poor play by Cedric Evina gifted Crewe an equaliser two minutes before the interval. The defender clumsily stabbed Zouamana Bakayogo's cross into the path of Callum Ainley, who finished from close range. Nathan Tyson had a goal chalked out for offside after the restart before Remi Matthews came to Donny's rescue by saving from Haber with his legs. But he was powerless to prevent Haber's volleyed finish finding the far corner to hand Crewe the lead in the 57th minute. Rovers substitute Liam Mandeville wasted a one-on-one opening and Williams fired wide as time ran out for Rovers before Crewe substitute Brad Inman drove in the third in the 89th minute.